- Roleplaying is putting yourself in another's shoes, it's the sweet act of assuming another identity, to tell a grandoise story with others. It's a great exercise of the creative mind, and a chance to step back and view a cruel world through a neutral eye. - Some people define Powergaming and godmodding with mixed definitions, so I'll describe my interpretation of them both here. For me, powergaming is the act of taking control of another's character, while godmodding is the act of making yours near invincible or playing with the sole focus of being stronger in combat or one area. - A mary sue is a boring character that's been overdone 5 million times with not a single thing interesting about them, the reason anyone wants to play as or with these overdone tropes is beyond me. - Oseria, near the East Coast. - Anton Von Ster was born of a single child to a wealthier couple, in a seaside village of Oseria. From a young age, his parents looked carefully after him, raising him to be a Man of the Sea. As he grew, he was trained privately with a dueling cane, shortbow, staves, slingshots, and a whole like of weapons. His parents wanted him to have a bold naval legacy, and to truly be a man to admire, and hopefully powerful in the future. This was the brute of his training, able to navigate, sail, and lead a ship with the best tools of the time, or the worst, should it come down to it. Anton's Parents spent great money raising him to be a truly admirable man, despite seeming to not work all that much. He was too busy and daft to wonder where this came from for a fair bit of life, but adolescence led to curiousness. He began snooping around in his parent's ledgers, eventually discovering they had a fair amount of debt, and it was beginning to pile up on them. At around sixteen he confronted his parents about this, and after a small bit of scolding, they assured him that they had a large sum of cash coming in soon, putting young Anton at ease. On his way out, he saw the small vessel he had owned was no longer there. He assumed that it must have been stolen by the same people that have taken away his people, but had no way to know. Answer: Life has presented Anton with but one more problem, and he will be damned if he does not turn it into an Opportunity. He thinks, should he be able to give away even half of what is on his ship, the peasants of the camp may think most highly of him indeed. With a horse-cart behind him full of food, coins, and clothes, he trots into the camp, finding a central spot within it. There, he disconnects the cart from his horse, and leaves it there in the camp. He then proclaims, "I am Anton Von Ster. Eat, friends, and remember who has given you this gift when you are finally citizens of this great city!" With that, he leaves the camp, returning to the guards. He lets them know that he has sated the peasant population for at least a few days, and this should mean quite a lot to letting him get inside to sell what he has left. Answer: Anton steps into whatever inn he may find, Wiping the snow off of his face. These strangers may not like the sight of those not like them, but Gold is the greatest equalizer of all. With a bit of coin, they will surely be persuaded to give him a place in their tavern, at least for the night. And with some stunning jewelry which he had acquired a while before, he may bribe the Inn enough to not have to sleep with one eye open. Congratulations! Your application has now been approved. You can use ToB’s Discord for communication and questions! 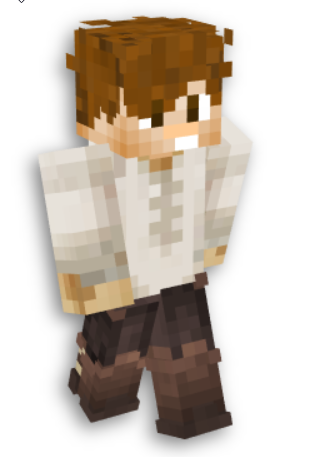 You will find me and other whitelisters there too, ready to teach you the ropes.